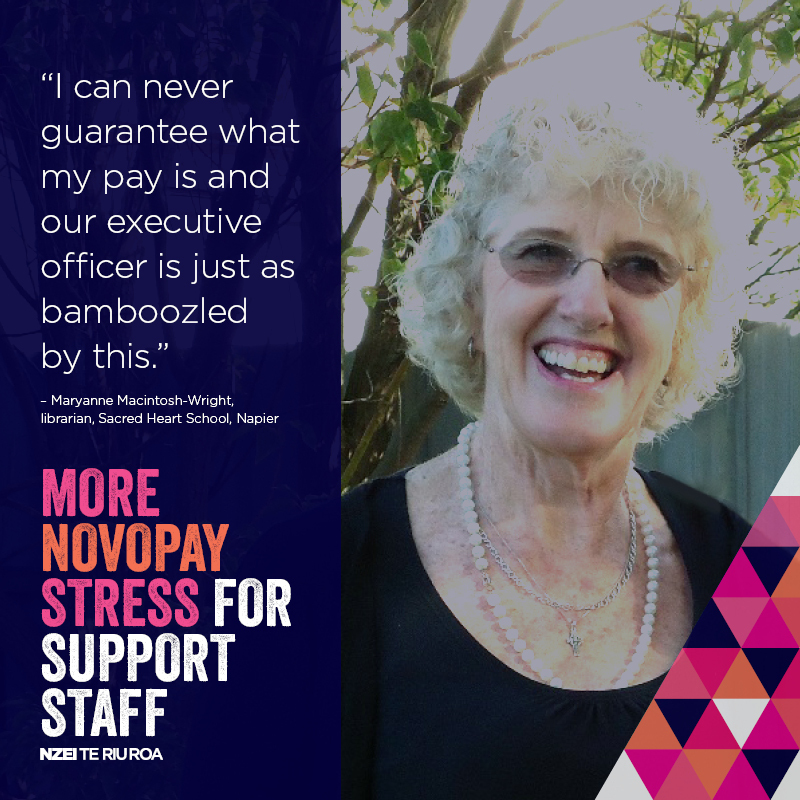 Novopay has cut the pay of around 6000 school support staff in what NZEI Te Riu Roa is describing as an unfair and illegal move. This is causing huge amounts of stress for some of the lowest-paid people in the education system. We’re hearing stories about staff who are already scraping by on very tight budgets and are having to further reduce the amount of food they buy. When you don’t have the money for any extras anyway, you can only cut back on groceries or on heating. 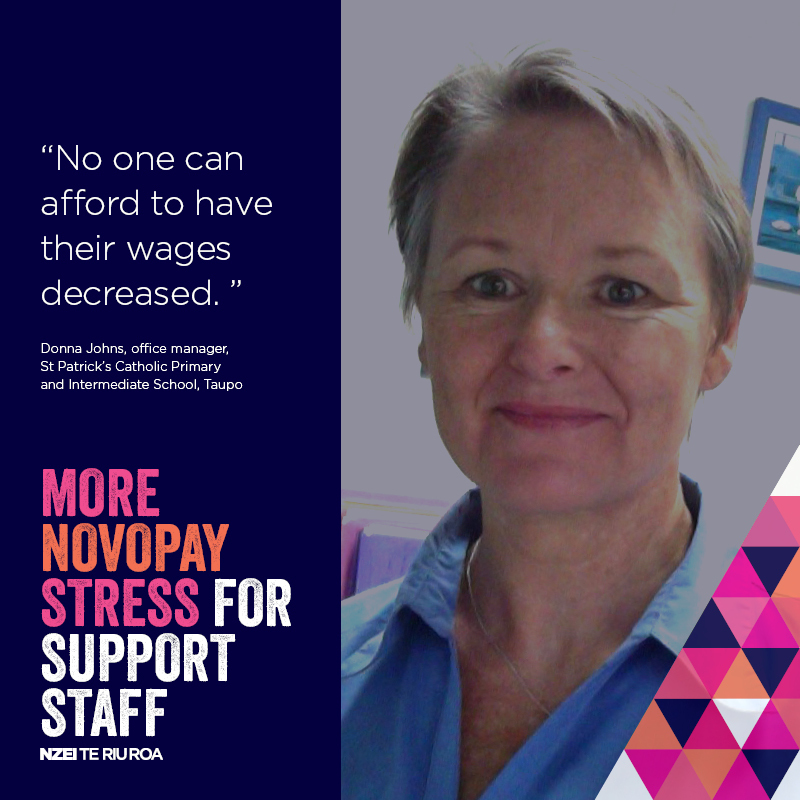 This debacle is affecting school support staff who have chosen to have their pay spread out over the year, instead of only being paid during school term time, in order to ensure that they receive an income over the holiday period. 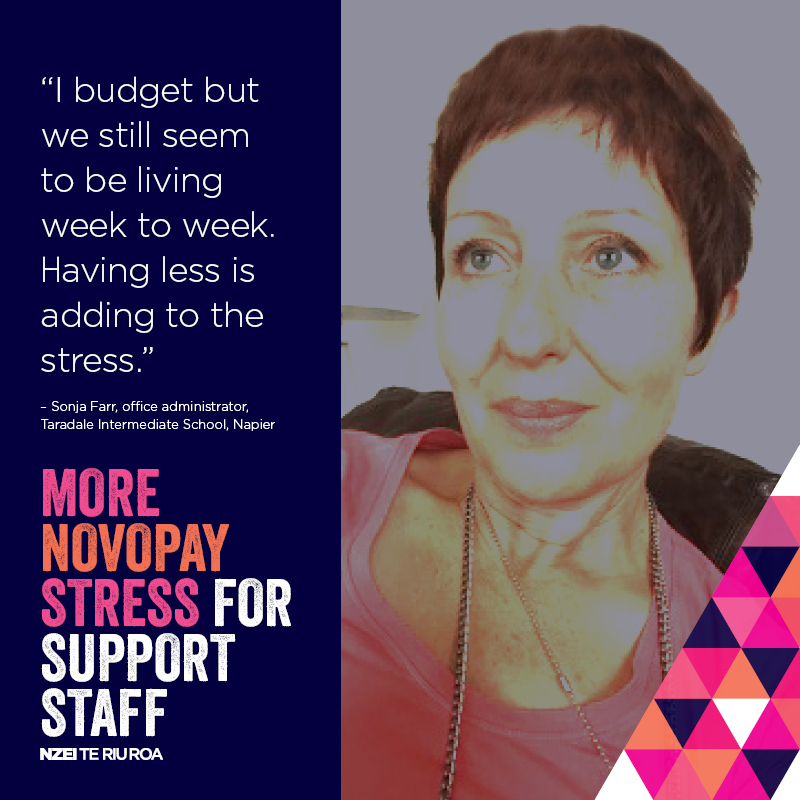 Bizarrely, Novopay argues that they are paying 27 pay periods over 54 weeks in 2016 and that’s why they’ve reduced the fortnightly payments by 3.7 percent. Here are just some of the stories that we’ve been hearing.. I have been in my job as Office Manager for nearly 19 years and this is the first time this has happened with the support staff annualisations. I would like to know if there will be another adjustment next year to make up the adjustment of pay fortnights from 26 to 27? It’s just ridiculous that Novopay have to make this change. No one can afford to have their wages decreased, and some are worse off than others. I’ve been on a support staff income since 1993 and have brought up five kids on that income. Retirement is a frightening event because on that income there is no money for a nest egg for when I retire. I can never guarantee what my pay is and our executive officer is just as bamboozled by this. I have a six year old son and this is money that I won’t be able to spend on the things he needs. I try to budget and put aside a little each week to cover things like power and phone bills but this is making things just so difficult. “I love the job and have a great passion for kids. But losing $17.63 a fortnight is a lot of money. I was already living on a strict budget and now this has been just another kick in the teeth. I work 40 hours a week and am at the top of my pay scale, but of course only get that over 40 weeks a year – that’s why I have my salary annualised. I’ve had to recently buy a new car because my old one went to the wreckers. My rent here is $400 a week and so I don’t know where I‘m going to get the money to pay the car off. On my salary I can’t afford to go to the dentist, pay for insurance or go out for a meal with a friend.